Virtual Desktop Infrastructure (VDI) is an alternative to traditional desktop computing which allows users to access a virtual session from any location without being tied to a single machine. 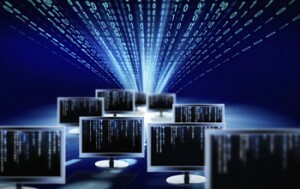 Virtual Desktop Infrastructure (VDI) is an alternative to traditional desktop computing. A computer's operating system and applications usually run locally on its internal hard drive. With VDI, the traditional desktop is replaced by a virtual session from a remote server. Reduced life cycle cost for the operating system and hardware. Improved overall support of the operating system and hardware. Remote location access to user desktop. There is a recurring fee of $27.50 per month for MU departments, payable by MoCode. IT Pros can go to doitservices.missouri.edu to request new and change or cancel existing Virtual Desktop Hosting. Login to the self-service portal with your University user id and password, select Service Catalog, and search for Virtual Desktop Hosting.